(Steve Griffin | The Salt Lake Tribune) The Washakie Renewable Energy facility in Plymouth, Utah, Friday, Feb. 12, 2016. 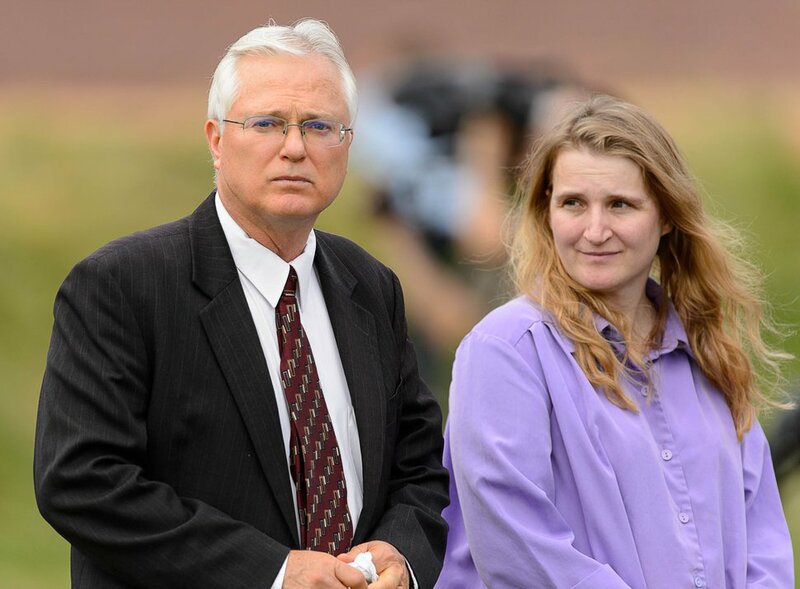 Prosecutors have indicted two more members of a polygamous family — this time the wife of one defendant and the mother of two defendants — in what prosecutors have called a $511 million fraud using biodiesel tax credits. A prosecutor also explained for the first time how the U.S. Department of Justice believes fraud at Washakie Renewable Energy is related to the Kingston Group, also known as the Davis County Cooperative Society. In federal court Tuesday, Richard M. Rolwing, a special assistant U.S. attorney, said one of the new defendants, Rachel Ann Kingston, was helping two of her sons forge documents and commit fraud to benefit her husband, John Daniel Kingston. He is one of the top men in the sect, though he has not been charged with any crimes in the case. (Rick Egan | The Salt Lake Tribune) Rachel Ann Kingston, mother of Isaiah Kingston, leaves the federal courthouse after a hearing for defendants Jacob and Isaiah Kingston on Wednesday, Aug. 29, 2018. The new indictment describes how, in 2013, Washakie transferred $6.2 million to the Kingston Group’s incorporated church or businesses operated by church members. An account controlled by the sect then returned $4.5 million to Washakie. For now, the five defendants are the three men charged in August: brothers Jacob and Isaiah Kingston, the chief executive officer and chief financial officer, respectively, of Washakie Renewable Energy; one of the business associates, Lev Dermen; and the two women whose indictments were unsealed Tuesday, Rachel Kingston, 63, and Sally Louise Kingston, the 41-year-old wife of Jacob Kingston. Rachel Kingston, 63, was charged with five counts alleging fraud, money laundering and obstruction of justice. The charges could amount to 60 years in prison. She is the mother of Jacob and Isaiah Kingston. Sally Kingston is charged with one count of conspiracy to commit mail fraud and one count of money laundering. She faces up to 40 years in prison. The two women surrendered over the weekend but were not booked into jail. They appeared in Salt Lake City’s federal court with an attorney Tuesday morning for an arraignment. Rolwing wanted the women to post a $10 million bond — the same amount Jacob Kingston has offered to leave jail pending trial — and sought to bolster his argument by explaining prosecutors’ view of the case to Judge Paul Warner. While Jacob Kingston might have been the public face of Washakie and the most culpable, Rolwing said, his mother drafted forms to submit to the federal government and showed others how to file false information. The move would have allowed the company to collect tax credits on biodiesel it did not actually produce. The judge opted to let the women remain free without a bond, though they need to surrender their passports, wear ankle monitors and remain in Utah. Businesses owned by Kingston Group members are often considered to be consecrated to the sect. Revenues typically go into a church account. The sect will then return what money the business needs for operating expenses. Trent Nelson | The Salt Lake Tribune Polygamist John Daniel Kingston, left, in attendance at a memorial for the victims of a flash flood. The memorial was held in Maxwell Park in Hildale, Saturday, Sept. 26, 2015. John Daniel Kingston did not return messages seeking comment Tuesday. He was jailed for beating his daughter into unconsciousness in 1998 after the girl, then 16, ran away from an arranged marriage to her uncle. John Daniel Kingston, who according to court testimony once had 14 wives, was on hand in 2011, when his sons held an open house at the Washakie production plant in Plymouth near Interstate 15 and the Idaho line. Rolwing also referenced a 2016 federal raid on Washakie offices in South Salt Lake that prosecutors have alleged the defendants knew about in advance. Rolwing said Rachel Kingston told other employees there was mold in the offices and sent them home while she destroyed evidence before IRS and FBI agents arrived. Rolwing said some computer hard drives remain missing, though federal agents were available to recover emails and other data on a backup server. It still hasn’t been explained how anyone at Washakie would have known about the raid. New indictments were not a surprise. In a December hearing, federal prosecutors disclosed they planned to indict new defendants by mid-January. But the hearing Tuesday ended days of behind-the-scenes legal wrangling. Motions, apparently filed by the Kingston Group and member businesses, were sealed, and the entire court docket for the prosecutions was sealed from public view Thursday — a rare event in Utah’s federal court. The motions, the new indictment and the docket were all unsealed Tuesday morning before the hearing. (Leah Hogsten | The Salt Lake Tribune) Kingston brothers Isaiah (left) and Jacob co-own WRE or Washakie Renewable Energy, which produces 10 milion gallons of biofuel. The largest biodiesel producer in Utah, Washakie held an open house in Plymouth on Thursday, Sept. 1, 2011, to showcase its new production facility. The new indictments arrive as the three original defendants are challenging their detentions and the cases against them. Jacob Kingston has filed a motion for pretrial release and offered to post $10 million in bail. His brother Isaiah Kingston asserts he has medical problems that have caused him to lose weight while being held in the Weber County jail. Both he and Dermen have pushed for prosecutors to accelerate the disclosure of evidence so the cases can move to trial. For now, all three men remain in jail. Their trials are scheduled for May. 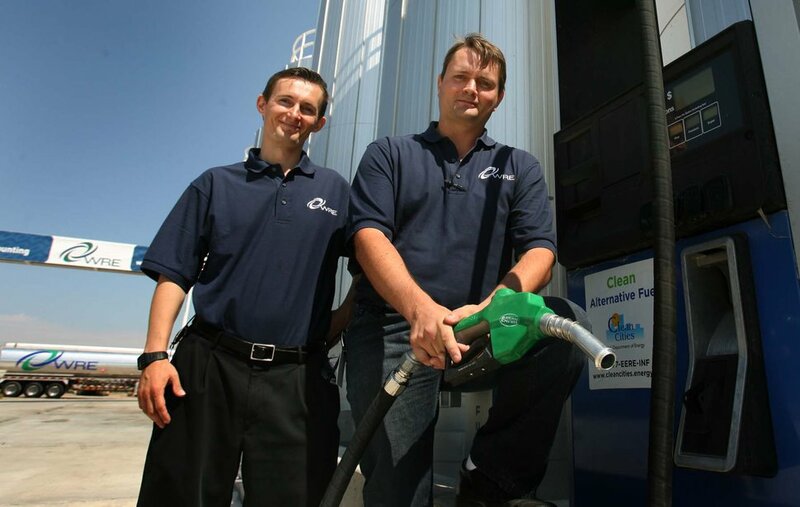 Washakie Renewable Energy promoted itself as a manufacturer and seller of biofuels. For a stretch in 2014 and 2015, Washakie was one of Utah’s highest-profile businesses. It advertised at Utah Jazz home games and on game broadcasts. The U.S. Department of Justice alleges Washakie made almost no biofuel and instead bought and sold products and fabricated papers to collect a tax rebate from the federal government. Prosecutors have alleged the fraud amounted to almost $511 million, with the money going to the purchase of property in Turkey, among other things. The new indictment charges Jacob Kingston with 43 counts of filing false returns with the IRS, money laundering, threatening a witness and obstruction of justice. Isaiah Kingston is charged with 19 such counts. Dermen, also known as Levon Termendzhyan, has been indicted on 10 counts of fraud and money laundering.